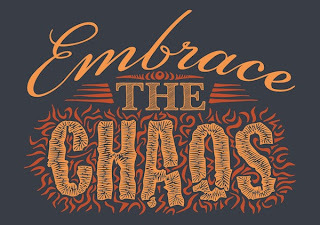 WALKSTRONG ~ www.walkstrong.ca: " So-Called Chaos ... "
Everyday Chaos. I use to think that is what described life and how it was spent. The real world going in and out of focus, entirely affected by my emotions, senses and desires. Thinking I could cope, thinking I could manage ... and then feeling overwhelmed, disenchanted and disconnected from my actual experience of living. Limbo land and the paralysis it brings by what you perceive as a complication, an uncertainty, unpredictable in nature and full of shock and surprises. Personally, at times the more I thought about trying to plan my future, the more stressed and anxious I would become. Stress had become the new norm and anxiety my new best friend. Everyday chaos is unsettling so it is natural to want to do something, anything to ease the pain or escape the discomfort. Yet when your thoughts are muddled and your emotions control you, your decisions don’t reflect the rational thinking you are capable of. And so you are driven by chaos. 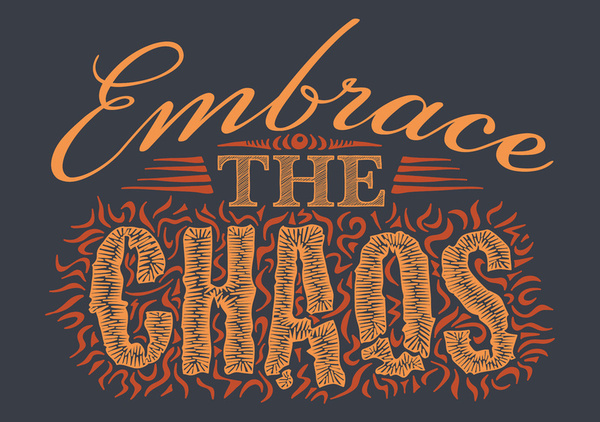 And what brings chaos ... the turbulence of change. It is a state of foggy thinking, out of focus, physical stress and emotions that are different from what is considered typical. In the midst of chaos, I learned a strategy that seems to work ... not to do anything that I couldn’t undo ... not to make any irreversible decisions I might regret later. Some view it as denial, others as insanity. But for me, it is far preferable to wait till the chaos diminishes before taking action. I have learned that no matter how bad chaos is in the moment, I feel better once I stop and live in the gap ... the gap between what has happened and what I am going to do about it. I need to put off doing “something” about it to avoid having serious repercussions. In the past, my reaction to chaos has had consequences I regret. Now I consciously scatter fragments of anxiety and fear. Now I consciously give no power to the chaos outside of me. 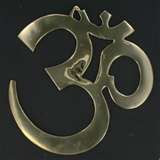 Now I consciously remind myself that the present moment is all that is, all that will ever be. Now I consciously embrace the NOW and just be. You control you mind, your mind does not control you. Knowing how to deal with uncertainty is fully realizing that life has always been unpredictable and full of chaos. Life can be complicated and fast. Life is impermanence and imperfect. My life is no more or less than anyone elses and things have a way of working out in the end ... and so it is.